UPDATE 12pm: PARAMEDICS took two women to hospital yesterday morning after a roll-over on Yaamba Rd. 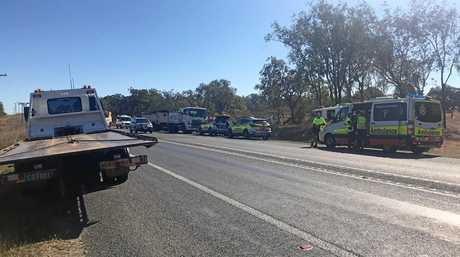 A spokesperson from Queensland Ambulance Service said both women in their 20s were taken to Rockhampton Hospital in a stable condition. 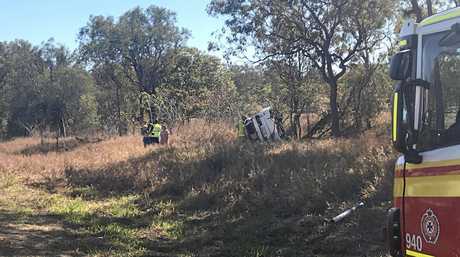 BREAKING: PARAMEDICS are at the scene of a crash north of Rockhampton where a truck and car have rolled off Yaamba Rd. 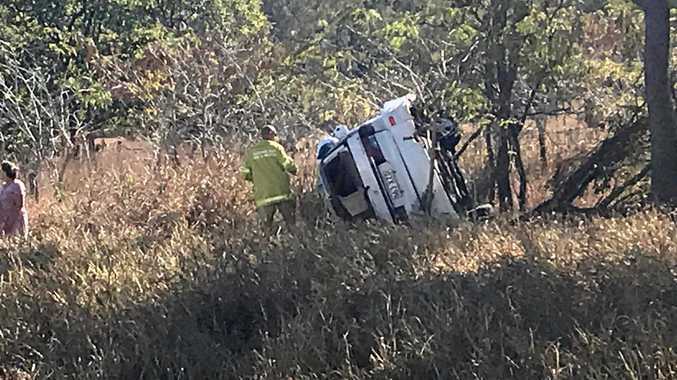 Initial reports indicate crews were called to a truck and car crash on Terranova Drv and Yaamba Rd, Rockyview around 9.20am where two people are reportedly injured. Crews reported a sedan "rolled multiple times" and was around 10m off the road. A 24-year-old woman was flung from the car on impact and has a head injury.